MAF has been serving this region since 1950. Every year we fly hundreds of doctors, patients, aid workers and pastors, providing healthcare, aid redevelopment, education, food, clean water and the spread of the Gospel. 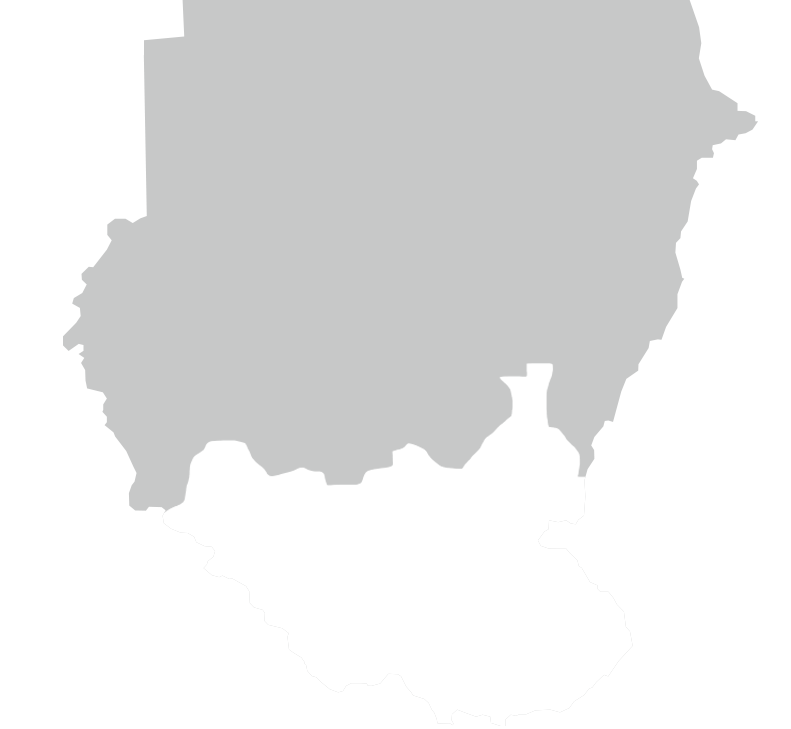 South Sudan has been in and out of war for the past 60 years. More than 2 million people have died in two long civil wars with the north. The most recent tribal warfare that broke out in December 2013 has left the country devastated. Clean drinking water is scarce and food insecurity is on the rise. Although rich in natural resources, poverty is widespread. South Sudan has one of the highest mortality rates of pregnant and birthing mothers in the world. Little of the road network is paved and much of it is in disrepair, making road transport to some remote villages almost impossible. MAF has been serving this region since 1950. 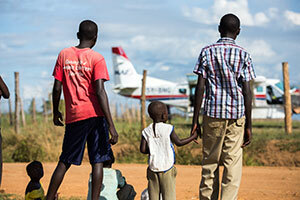 Forced to leave for some years due to civil war, MAF now has a base in the capital of Juba. 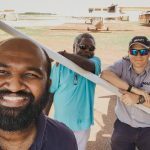 Every year we fly hundreds of doctors, patients, aid workers and pastors, providing healthcare, aid redevelopment, education, food, clean water and the spread of the Gospel. In partnership with over 100 organisiations, such as AIM International, Tearfund, Medair, Christian Mission Aid, Water Harvest International and Save the Children – to name just a few – we are proud to be part of bringing hope to a country that almost lost all hope. 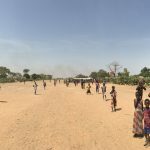 After being separated from his family for four years due to violence in South Sudan, Chuol was finally returning home to see his family and his three-year-old daughter he had never met.